Elayna Leopold, 35, works from home in New Jersey so that she can raise her young daughter, Hazel, while her husband puts in long hours as a lawyer in New York. Elayna is typical of women who spend their twenties chasing dreams in the city only to spend their thirties chasing children in the suburbs. Yet no one knows better than she that life can change instantly. Two years ago her infant son died, sending her into a depression from which she's just emerging. Now, suddenly -- thrillingly -- Elayna finds herself craving life's passions again. When she meets Kevin, a young artist and neighbor, she discovers a version of herself she thought was gone forever. As she uncovers yearnings that could destroy everything she cherishes, a threat to Hazel emerges from an unlikely source, making Elayna's choices and decisions that much more critical. Riveting, tender, and utterly real, Sweet Ruin is a gripping story about one woman's search for passion amid the challenges of ordinary life and a triumph of contemporary fiction from a writer known for her candor and wisdom. Elayna Leopold Slade seems to have the perfect life -- a comfortable home in the suburbs, a successful and loving husband, Paul, and a beautiful seven-year old daughter, Hazel. But Elayna's life is not at all as simple and happy as it appears. Two years ago, Elayna gave birth to a darling boy, Oliver, who died due to heart trouble within days of his birth, plunging Elayna into a deep depression that is just beginning to lift. As Elayna heals from her crippling sadness, she relishes her return to the full life that she had neglected since Oliver's death. Elayna's mood -- sexual and otherwise -- is further buoyed when she meets an attractive, artsy twenty-something neighbor, Kevin. As her flirtation with Kevin edges towards more, Elayna turns to her best friend Celeste for support and advice. Meanwhile, Elayna works to rebuild her relationship with her father, Devon, a New York City fashion photographer who left her mother when she was young. Devon's desire to establish a close bond with Hazel leads Elayna to allow him into Hazel's life, a decision that may ultimately put Hazel in danger. Will Elayna's emergence out of her depression threaten the stability of both her marriage and her morality? Sweet Ruin is written in the first person, with Elayna as the narrator. How reliable is Elayna's perception of the events in the novel? Were there any specific incidents where you suspected that her interpretation was not correct? How does the author's decision to use an unreliable narrator affect the novel as a whole? Elayna's only close female friend in the novel is Celeste, who is having an affair with a married man in New York City. At one point, Celeste tells Elayna, "I live vicariously through you." How does Celeste contrast with Elayna? Do you think that Elayna would live Celeste's life if she could? How does Celeste and Elayna's friendship highlight the tension between life choices -- choosing to be married or to be single, for example? In the first pages of the novel, Elayna says she is "coming out of [her] hibernation" since her son Oliver's death. Do you think there is evidence in the novel that Elayna feels guilty over his death? How is her possible guilt reflected in her relationship with Hazel? With Paul? For example, is she more willing to make excuses for Paul's long hours at work because she feels she has not provided a complete and healthy family for him? Physical touch is a major theme in the novel, and it is one of Elayna's central methods of emotional connection. Cindi, Elayna's sister, tells her that she is "oversexualized." Do you agree? How does Elayna's sexuality play into all of her relationships in the novel? How does it affect her decision to allow Hazel to model? At one point, Elayna says "There's a fine line between denial and staying optimistic." How does she walk this line, particularly in her relationship with her father? Do you think Elayna is, as her sister suggests on page 32, in denial about her father's behavior? How has Elayna's relationship with her father -- both in childhood and adulthood -- molded her perception of herself? Do you think she has a healthy level of self-esteem? At the end of the novel, Elayna says "Paul is my love, my love, the love of my life." Do you believe her? Why or why not? Were you frustrated by or sympathetic to Elayna's attempts to convince herself that her marriage was healthy and successful? Is it possible to be married to the love of your life and, at the same time, betray that love in some way as Elayna betrays Paul's trust? The sensuality of Sweet Ruin is palpable -- food, weather, even the descriptions of Hazel are all awash with it. For example, in the early pages of the novel, there is a description of Elayna going onto her deck: "I closed my eyes and shook my hair down over my bare arms, then inhaled deeply, sucking in the splendor through every pore . . . I could feel the charge seeping through my skin, making me tingle with life." Why is Elayna's new physical and sexual awareness a necessary step for her recovery from Oliver's death? As they're driving home from New York City after Hazel's first fashion show, Paul and Elayna get into an argument about Hazel's behavior. Paul tells Elayna that "she was being inappropriate" and Elayna responds "She was being funny. That's how kids are funny at that age." With whom do you agree and why? How does this argument reveal the larger issues in Paul and Elayna's marriage? On a different note, do you think that Elayna gives Hazel too much power in their relationship? Why or why not? Is the intimacy that Elayna and Kevin share throughout the novel purely physical, or is there an emotional element? What does Elayna find most attractive about Kevin -- his youth, or something else? Why? Elayna's father, Devon Leopold, is one of the most ambiguous characters in the novel. Do you think that he is a sympathetic character, or did you find it easy to condemn him and his behavior? How did both Elayna's and Hazel's relationships with Devon shape your impressions of him? When they run into each other in New York City, Kevin tells Elayna "I just -- I feel like I want to save you, or something." What do you think he means by this? Do you believe that Kevin truly cares for Elayna? Do you blame one more than the other regarding their relationship? At the end of the novel, Elayna says: "There's a part of Paul that will never fully trust me again -- and that's a terrible thing for a husband to have to wield, and a hideous scar to have in a marriage. But . . . the scars are part and parcel, so why wish them away?" Do you agree with Elayna that scars are a necessary part of any marriage? Do you think that Paul and Elayna's marriage will survive? In one of the central scenes of the book, Elayna and Kevin go to see Dancer in the Dark, a movie about a Czechoslovakian woman who immigrates to America with her young son. (Bjork was nominated for an Oscar for this role.) Before your group meets, rent and watch the movie. During your discussion, talk about how the themes in the movie illuminate the book, and specifically Elayna's relationship with Hazel. Why does the movie have such an impact on Elayna? Food is a central symbolic element in the novel, representing everything from sensuality to comfort. If you are the host for the group, provide dark chocolate Belgian truffles, white wine, and peppermint tea for your guests. You can buy a box of 16 handmade truffles for $21.50 at www.abountifulharvest.com/perfect_truffle.asp. If you make dinner for your group, serve the lemongrass chicken that Elayna eats alone in the city. You can find the recipe at http://www.recipesource.com/ethnic/asia/vietnamese/lemongrass-chicken1.html. Learn more about pottery-making classes in your area by visiting http://www.kilnpottery.com for an example of how it works, and an idea of the costs. Plan a weekend outing with willing members of your book group. Bring your creations to the next discussion. 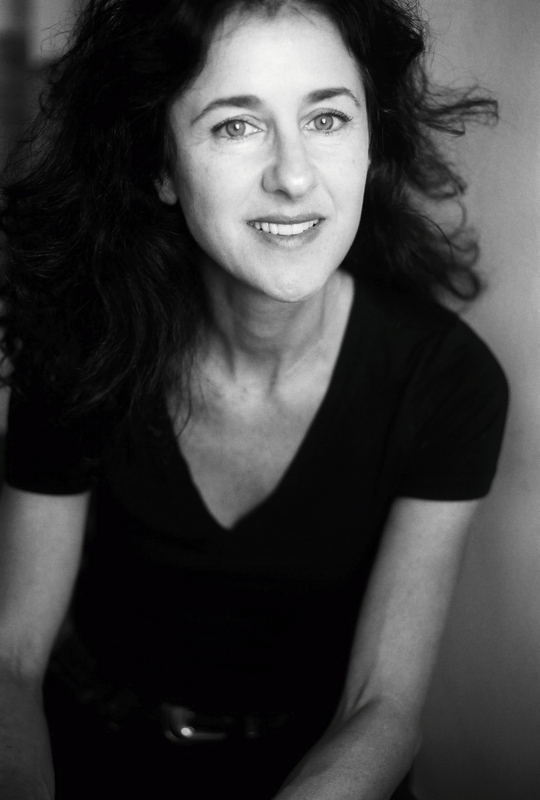 "Compulsively readable.... Hanauer has a poet's eye for detail and a spot-on sense of the specifics of mothering in the suburbs." "[A] skillfully imagined, bittersweet portrait of marriage and sacrifice." 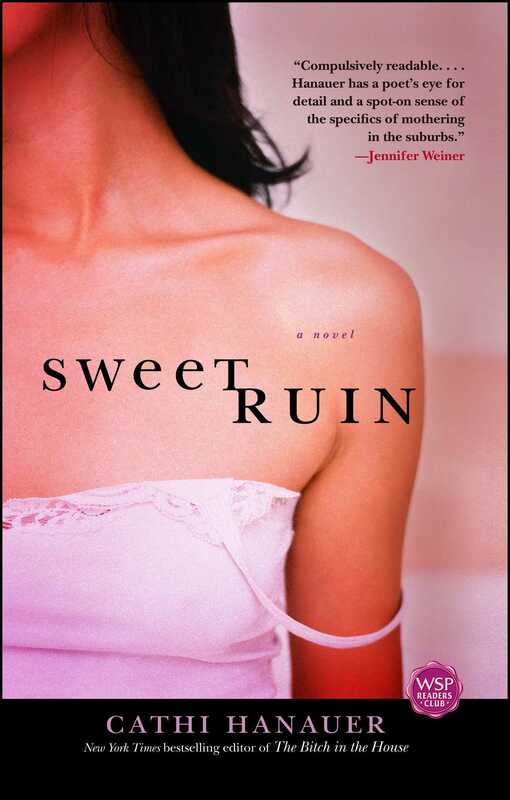 "Intelligent and engaging, Sweet Ruin examines the fallout from grief and the intricacies of family, while weighing the comforts of the prosaic against the tantalizing allure of the new." "The dialogue is effortlessly pitch-perfect, the characters leap to fascinating life, and every scene unfolds with complexly intertwined sexual suspense and emotional resonance."